I looked up as a young man yelled at me from the window of his pickup truck, which had just screeched to a sideways stop at the end of my driveway. I recognized the driver as a neighbor who lived a block away with his father. I had been talking to the foreman of the the crew I’d hired to re-stucco my house. “I started a new stucco business. I gave you a flyer and all,” he whined. I vaguely remembered receiving a primitive black and white flyer advertising his services, but that was months ago. Maybe even a year ago. When he gave me that flyer, I wasn’t even thinking about a new stucco job, so I tossed it out. Then when I was collecting estimates for our stucco job, I had completely forgotten about that xeroxed sheet of paper. And I didn’t have his contact information anymore. Now, with the chosen crew busily setting up, it was too late to even give him a chance. And his attitude wasn’t helping matters. If he had made sure that everyone in our neighborhood knew about his business, I would have at least asked for an estimate. And I might have hired him. If you don’t keep your name in front of prospects, then you risk making the same mistake this young man made. A mistake that may have cost him a nice paycheck. Most advertising falls on deaf ears and blind eyes if the audience isn’t ready to buy. Or they’re not concerned about the problem this product or service is supposed to solve. Unless that bit of marketing catches your attention, you probably won’t remember the name of the company if you ever need their solution. There are many ways an accounting firm can stay top of mind for prospects and clients, from attending networking events to speaking at local business meetings. But if you’re like many of the accountants I know, those activities are waaay outside your comfort zone. Some accountants are terrific at speaking — and I truly love hearing them at conferences or when I attend courses. But for those who don’t like speaking, what are some good ways to stay top of mind for your prospects and clients? In this blog post, I’m going to suggest ways you can leverage your blog to get your message out to more people who need your services. Sharing your knowledge with the world shows that you know your field. This isn’t giving away the keys to the kingdom — your best prospects will be wowed by what you give away for free. And they’ll be eager to learn what you’re not sharing. They’re looking for someone who can guide them to fulfilling their dreams, and by sharing what you know, you’re showing them that you’re the one to help them. Google is continually revising its search algorithm with the goal of helping users find the information they’re looking for quickly and easily. Adding content to your website on a regular basis tells Google that this is a website with useful and current information. How do I know this works? I’ve done almost nothing to optimize my website in the search results, but I’ve been told by accountants looking for a writer that my site appears high in the rankings, sometimes as high as #1 or #2, depending on exactly what the search terms were. When I first launched, I couldn’t find myself on Google. Now I’m consistently on the first page. This takes time and patience. Despite what some SEO experts say, there are no magical ways to significantly raise your search rankings. There are some things you can do that will enhance your profile over time, but don’t believe anyone who says they can get you on the first page with just a few tweaks to your website. If they’re using tricks to game the system, Google will eventually punish you for that. Reuse your blog posts in your newsletter. You can copy the whole post into your newsletter, or include a link that takes readers back to your website. The wonderful thing about email newsletters is that they can be forwarded to others. A newsletter coming from your firm adds a personal connection that a canned newsletter from your software provider can’t. Communicating with your clients on a regular basis is a great way to tell them about services your firm offers that they may not be aware of. 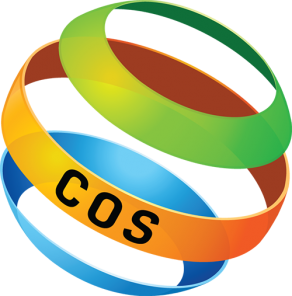 If they don’t know you offer these other services, they may go elsewhere if they need them. And it can remind them of tax-saving ideas they need to talk to you about. Where do your ideal customers hang out? Scope out the different social media channels and search for your clients. Where do they hang out? Where are they most engaged? If you work with young entrepreneurs, you’re more likely to find them on Twitter or FaceBook than on LinkedIn. Every social media channel has some means of sharing content. LinkedIn has its own publishing platform where you can simply copy and paste your blog post. Add an image at the top and you’re done. Or you can just add a link back to your blog in a regular post. If you’re like most accountants, you’ve got a stash of business cards collected at various networking events, I’ve got scads of them myself. And if you’re like most networking event attendees, you’ll add your latest fistful to that growing pile. Here’s a way that you’ll really stand out from the crowd: pick out your favorites — these are the people or businesses you’d like to work with most of all — and send them a short email. Thank them for meeting you and send them a link to a blog post you think might be helpful. I hope this has given you some ideas for getting more mileage out of your blog posts. And if you’re not already blogging, you can see that the many ways you can re-use your blogs makes this activity a worthwhile investment! 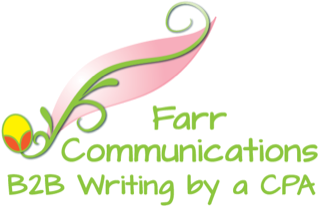 And if you need help getting your blog written in the first place, send me an email at liz@farrcommunications.com!